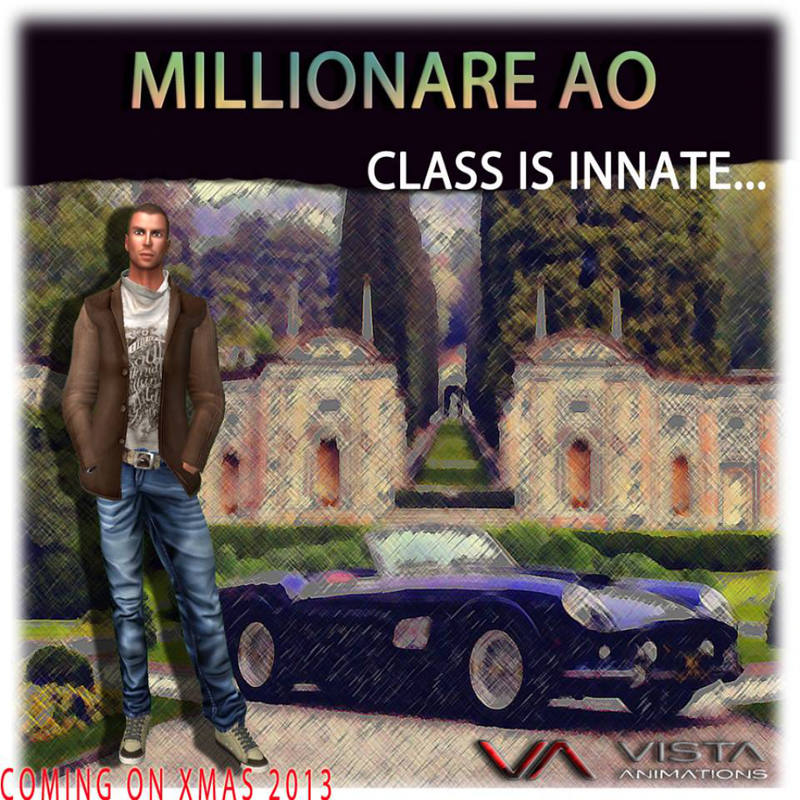 Refined, confident and with the world at his feet, the man who wears ‘The Millionaire’ AO from Vista Animations is a class act. This is an AO with subtle stands, walks and sits to give you an air of prestige and masculine elegance in any situation. When you want the world to notice you, choose ‘The Millionaire’ for maximum impact. Featuring brand new animation technology, ‘The Millionaire’ has new neck movements for a hyper realistic look – it’s the most dazzling male animation ever created by Vista Animations. This AO is perfect for conquering the SL business world, for socializing and for quiet seduction! 60 seconds stands. This allow you to do more quiet stands. -14 mocap stands 60 seconds made with the new mocap system, the best system available in the market. Vicon Blade2!